It’s over. Finished. And I for one could not be happier with the ending, especially after witnessing the disgraceful ending of “Dexter” it was well worth it. For those of you who live under a rock, “Breaking Bad” stars Bryan Cranston as Walter White a high school teacher who turns to making meth after receiving a cancer diagnosis and realizing just how expensive it is to treat cancer and raise a family. Enlisting the help of Jesse Pinkman, played by Emmy award winning actor Aaron Paul, White utilizes Pinkman’s street smarts in order to get in touch with the underworld and sell his perfect product. However, one cannot continue a criminal act without the assistance of a skeevy attorney, who in this case is named Saul Goodman, played by Bob Odenkirk, and becomes the third wheel to Pinkman and White, while offering his hilarious quips and lawyer help throughout. “Breaking Bad” arches throughout five seasons showing how much someone can be consumed by greed and how many lives can be destroyed as a result of it. And last night, this show came to an end. An ending that was everything I wanted. If, you’re an idiot, and decide to continue reading this review without watching the entire show, then continue. But do so, knowing that you’re an idiot and that you are robbing yourself of a wonderful show that depicts incredibly realistic characters and has become my favorite show thus far. I feel like I’ve traveled with these characters, took a walk in their shoes, and am relieved with how it ended. Let me begin by saying, kudos to Vince Gilligan for releasing Jesse Pinkman and killing Todd all in one swoop. If either of those two things didn’t happen, I would have been pissed. Kudos, to Gilligan for also having Walter finally come to terms with his greed and his ego. The line in which he says, “I did it for me”, was chill-worthy. After seeing all that he went through and finally uncovering the fact that he did it all for him, was well worth the countless hours I’ve watched of this show. Seeing him build himself up only to realize how much he has lost, was worth it. I cannot stress that enough. I also thoroughly enjoyed Walt pulling the trigger and killing Uncle Jack before he uttered the words describing where he had hidden Walt’s money. This act was profound and allowed us, the audience, to witness how far Walt has come and how little he cares for money anymore. I also liked how Walt claimed Lydia. At first, I didn’t think that the coffee shot was significant but upon the shot of Lydia, I knew what Walt had done, and I loved him for it. In typical Walt fashion, he took out as many people as he possibly could while utilizing his brain more than his brawn. Which was my question going into this scenario, how was a weak cancer ridden man going to operate a machine gun effectively. Welp, the writers thought of everything. The episode was also redemptive offering a full circle view of Walt, which I loved. I remember how much I wanted Walt to succeed and how I thought it was mildly amusing how he evaded the police and Hank, mostly Hank, but as the seasons progressed, I became disgusted with Walt and his “empire” ways. My feelings soon began to change regarding Jesse and I felt towards him, what I originally felt towards Walt. Which is to say, that I wanted him to win. He was the protagonist in this story and Walt the antagonist. This last episode, my view shifted. 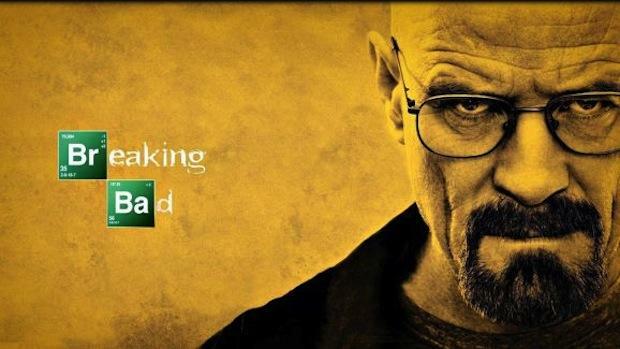 Walt was no longer the antagonist but the protagonist alongside Jesse and it was as it should be. Check this show out, if you haven’t been pestered enough already, because it is everything that everyone has said it is.